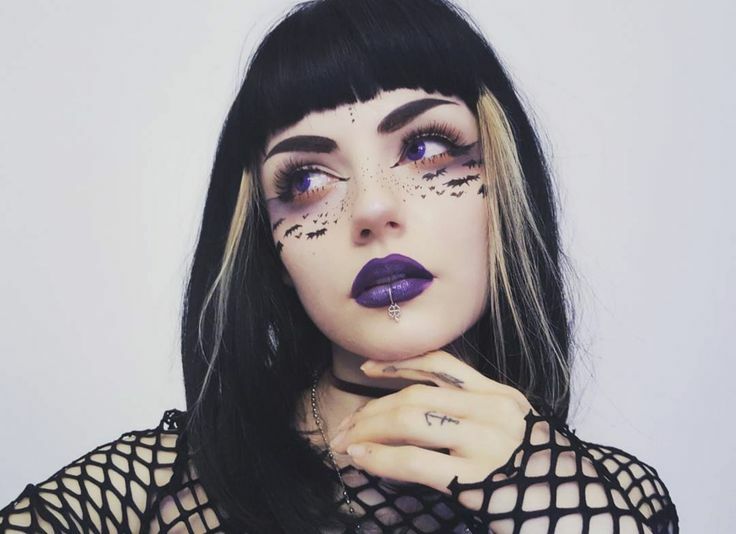 Ida's account was one of the first one I started to follow, after I discovered a passion for an original and unusual eye makeup looks. I still can't believe you can create so many wonderful makeups, using only basic products like liquid lipstick, eyeliner and eyeshadow. Ida is well-known for her original eye brow filling technique and I hope to master my skills and get at least a little bit closer to her level. 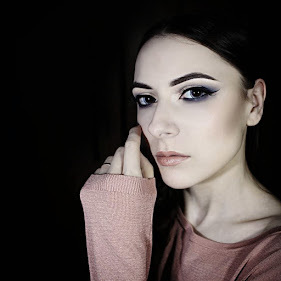 Ewelina's makeup looks are very different from what I have seen before. She loves to add delicate flower petals, small buds and lots of glitter and colors. 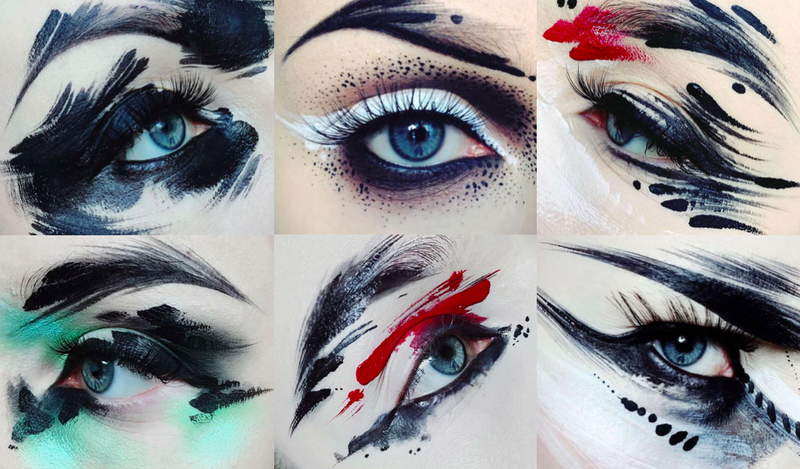 That's why such eye makeups looks are like a little art masterpieces, they are fragile and last for only a short period of time. It is hard to take your eyes off these little flowerbeds, you want to admire Ewelina's creations all the time. Stephanie and her Instagram account is the only fashion blogger on my today's list. 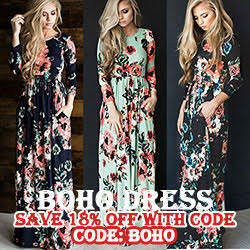 She also owns an incredible fashion and lifestyle blog Faiiint. Stephanie never stops to amuse me with her casual goth outfits. They are always black, very simple and classy. She describes her own style as a 'grown up goth style' and it is a perfect definition for this dark simplicity. I definitely recommend you to check out her Instagram account, especially if you need some fashion inspiration. Marie Dausell is a famous professional makeup artist. Her makeup looks are always super neat, clean and minimalistic. I love how she combines strict plain lines with bold colors and glossy finishes. Her works inspire me to try out new techniques and prove that sometimes the less is more. And the last in my list, but not the least instablogger is incredibly creative and beautiful Lou Von Bright. I still can't figure out how she creates eye and lip makeup arts, that feature candle tears and gothic jewelry. 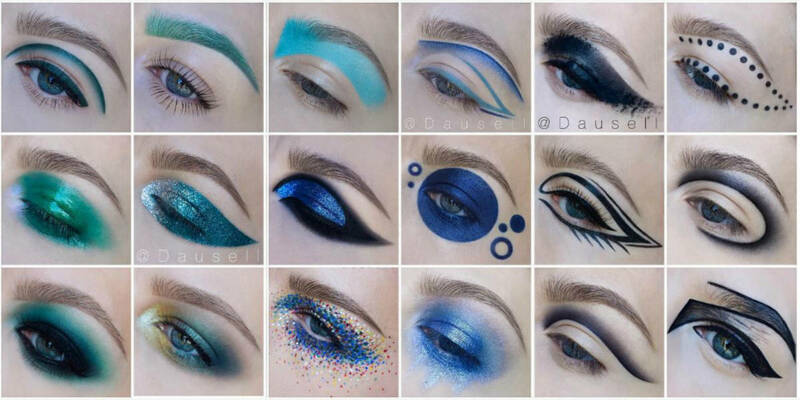 She is very talented makeup artist and I want to try and recreate few of her amazing art works.